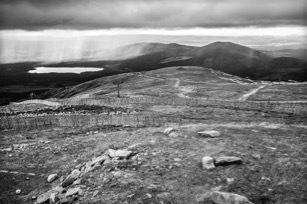 A NEW DAWN FOR CAIRNGORM MOUNTAIN? Natural Retreats, a commercial organisation, has taken over the management of Cairngorm Mountain on a twenty five year lease. Under the auspices of Scottish Environment LINK, representatives of NEMT, the Cairngorms Campaign and the Scottish Campaign for National Parks arranged a meeting with the management of Natural Retreats. We were keen to hear what plans the company has for developing the infrastructure and the activities provided with a view to trying to ensure that these do not impact negatively on the environment. We also hoped to establish a constructive relationship which might reduce the likelihood of problems emerging in the future. The company is keen to improve the visitor experience and make it more 'weather resilient'. This includes activities for families when winter sports are difficult because of the weather, along with increasing the educational aspects of what is offered. The company sees it as important economically to enhance what is already provided as well as developing new facilities and activities. The company wants to enhance skiing facilities for children and improve snow retention through better fencing and additional snow making equipment. Plans for additional summer activities are likely to be put forward and the development of mountain biking will be part of these. There was no mention of the more grandiose ideas which had been announced when the company took over (e.g. bringing the X Games to Cairngorm and developing Olympic champions by the 2018 winter games). The LINK representatives pointed out the importance of considering the implications for potential developments not only on the environment within the ski area but also on the area around it and down through the Glenmore corridor. The company's current mountain biking activities were given as a small example of this. Bikes being seen at the top station could encourage people more generally to cycle on the plateau itself with detrimental consequences to the vegetation. LINK stressed that it is in the interest of everyone that Cairngorm Mountain is a success. Within LINK there is considerable knowledge about the history of past problems on the north side of Cairngorm and the issues facing the area and the representatives stressed that LINK would be happy to comment on proposed developments at an early stage. It is hoped that this meeting will lead to a constructive relationship between Natural Retreats and those 'communities of interest' which have the wellbeing of the Cairngorms at heart.